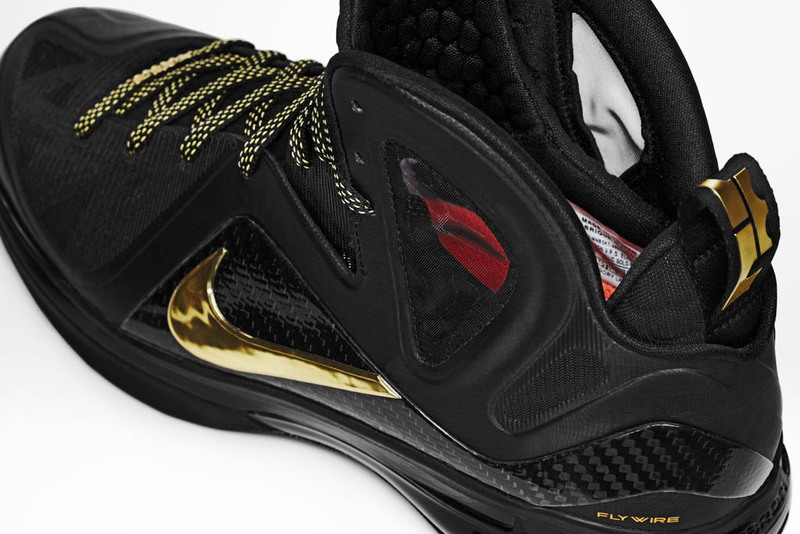 After an earlier look at the 'Home' Nike LeBron Elite, here's a detailed look at the pair James will be wearing for the Miami Heat's road playoff games. 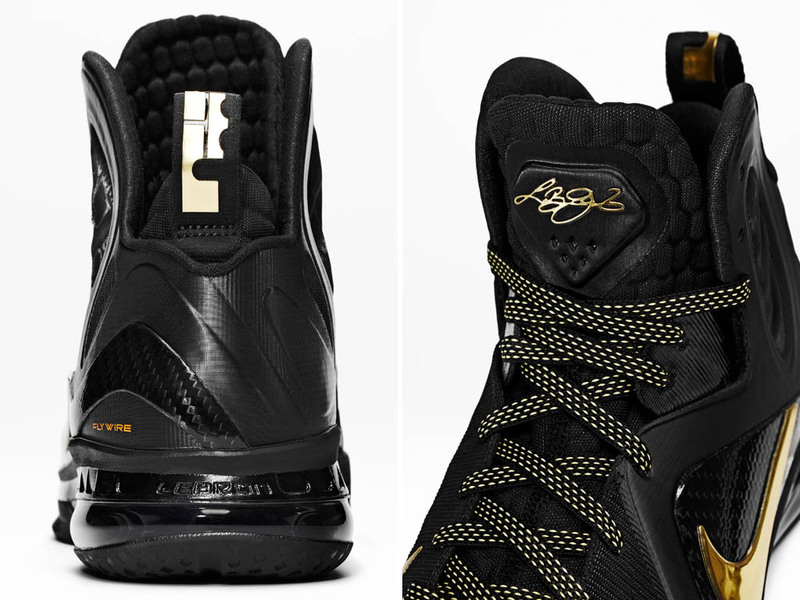 After an earlier look at the 'Home' Nike LeBron Elite, here's a detailed look at the pair James will be wearing for the Miami Heat's road playoff games. 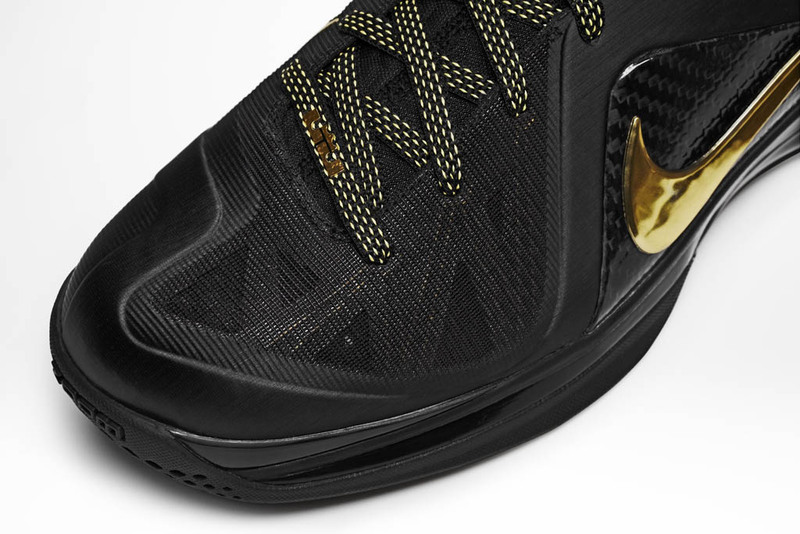 This pair features a black Fuse composite upper and carbon fiber support panels with Metallic Gold highlights on the Swoosh logos, laces and LBJ personalization on the tongue and heel. 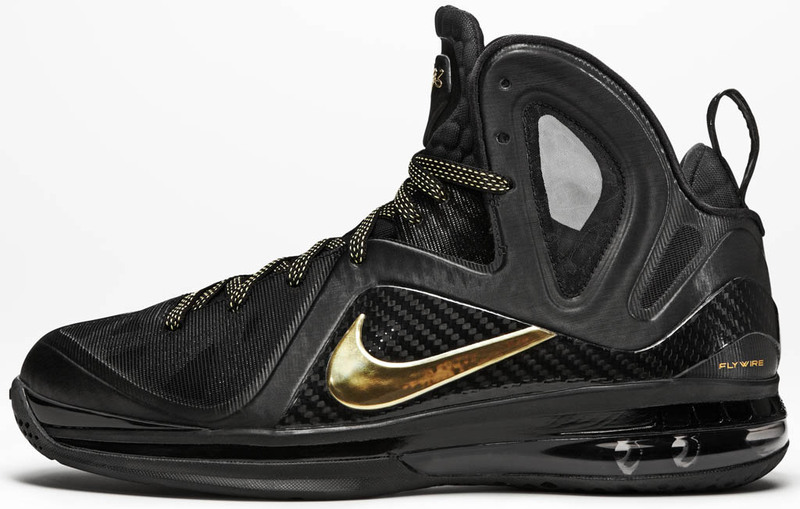 A black midsole, 180-Max Air bag and outsole wrap things up below. 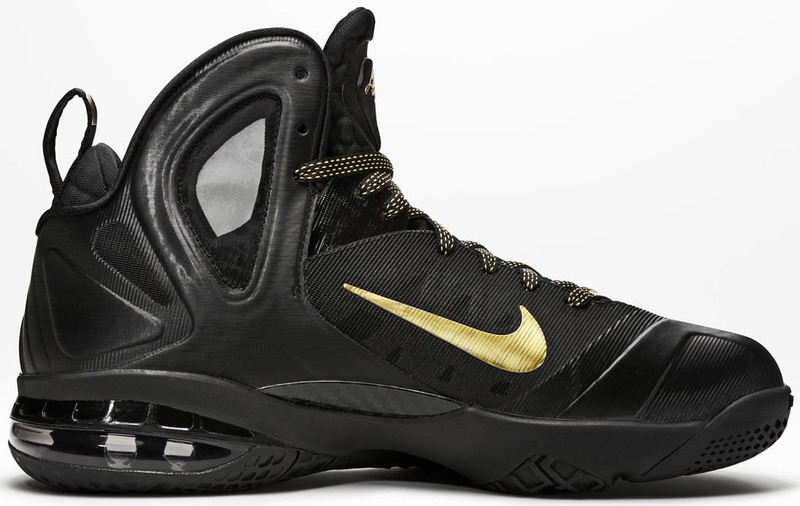 As stated in the earlier post, the Elite shoes feature material enhancements such as a Kevlar-threaded Flywire uppers, Nike Pro Combat padded collars and tongues, carbon midfoot support shanks and special 3D-printed sockliners. 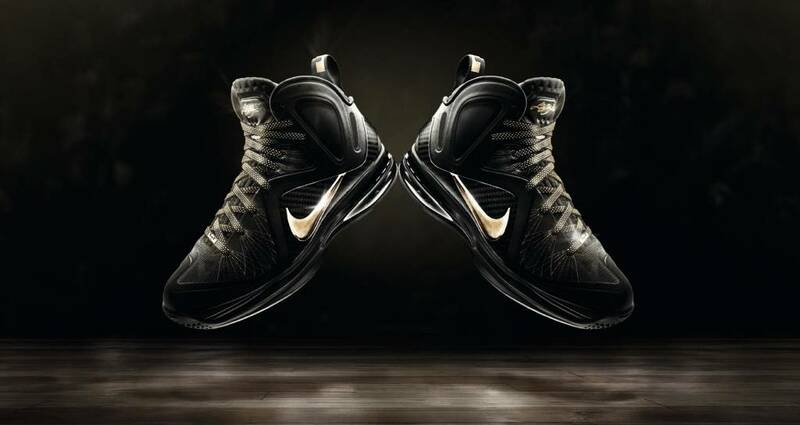 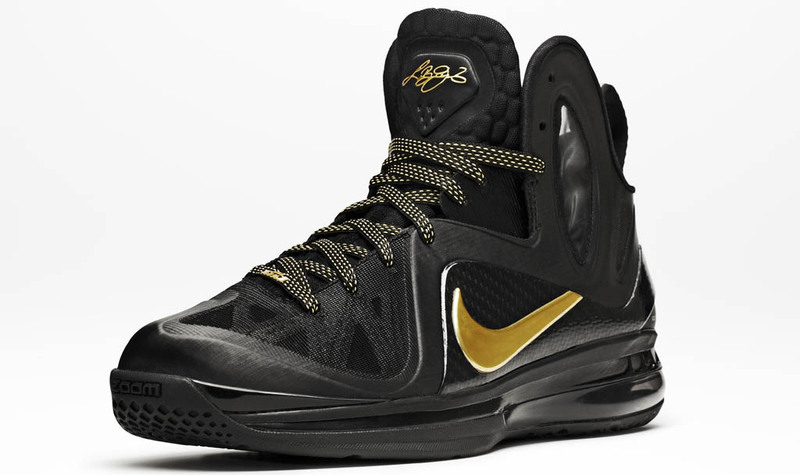 The 'Away' Nike LeBron 9 Elite will be released on Friday, April 20.